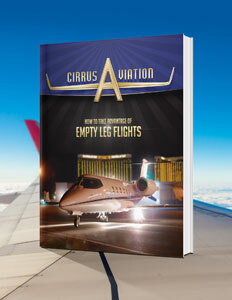 When a private jet travels between destinations with no passengers, these are called empty leg flights. These empty leg flights can be found with pricing up to 70% off the standard private jet charter rate as a result of being an empty leg. Business travelers and leisure tourists have discovered the fabulous value of private jet empty leg flights on charter aircraft. Enjoy traveling without the stress of crowds? Like the idea of not dealing with airport security lines? Want to have plenty of leg-room to relax on your flight? If you answered "yes" to any of these questions, then flying empty legs may be for you, too. Download our guide to discover how to take advantage of empty leg flights.